I don’t think I know anybody who hasn’t read To Kill a Mockingbird. It has been on more than one of my class reading lists and I’m sure that isn’t unusual. It has also created a lot of controversy in the years since it was published in 1960. 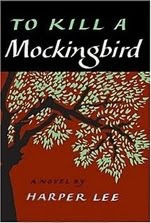 But despite the continued hype and its essential nature in middle schools everywhere, the first time I read To Kill a Mockingbird it was just because my mum told me it was a good book. And she was right. I have read To Kill a Mockingbird somewhere in the neighbourhood of a dozen times, and each time I read it I am struck by how much Harper Lee manages to cram into one novel. There is so much going on—summers with Dell, Boo Radley, the trial, the Finch’s family life, Scout and Jem at school, Jem and the magnolias, Atticus shooting the rabid dog—and still everything flows and stays together to give you a real picture of life in Maycomb, Alabama. The first time I read the novel I was probably too young to fully grasp what was going on, but I do remember being absolutely fascinated by the food that Calpurnia made. To my knowledge, I have still never eaten nor seen a collard green and, mostly because of the way they come up over and over in this book (either in the kitchen or in the garden), I would really like to. It may seem like and strange detail to remember from such an important and racially-charged novel, but collard greens weren’t something I had encountered before and the discussion of racism was. Later, though, when I reread it in high school (again, not for class purposes) I was struck by the way Lee described family life at the Finch home. And even just the way she described the house. As we get older I think we sort of forget how much your house matters to you when you’re a kid, and the way Lee describes the house is an important part of what makes Scout such a believable narrator (at least for me). Although I’ve never really been able to picture their street as anything more than a sketchy map, the specific houses described in the novel are very clear, as is the tree in front of the Radley’s house. The trial, of course, is meant to the really chilling and poignant part of the story. And I suppose it is in a lot of ways (although the details that really stick out for me are the details Lee gives about the people present, the way the courtroom smelled, and how tired Atticus looked). For me though, the scene that will always affect me the most is the attack on Scout in the dark when she’s walking home from the pageant. In some ways, the very fact that she’s dressed as a ham makes the scene memorable. But in rereading it, I think it’s the confusion of what’s really going on that makes the attack so violent. I can almost feel the chicken wire on my arms and hear the sounds of the struggle and the noise of Jem’s arm being broken. That was the scene that drove everything home for me. Looking back at that period of American history, we know that racism was rampant and that a black man on trial (even against such low-class whites as the Ewells—a detail Atticus makes sure to point out) would never get a fair verdict. Despite Atticus’ many lessons and his impassioned defense, the verdict isn’t so much surprising as it is disappointing. But the attack on Scout and Jem is shocking. Having Bob Ewell attack Atticus’ kids, even though Ewell “won” the court case, cuts through all the academic historical context and forces you to see the violence behind the racism and the class prejudice. I’d like to think that Lee could see the civil rights movement on the horizon when she wrote this and understood that one day, a lot of readers would need something this intense to remind them of how bad things had been. And that’s why I don’t understand all this nonsense about parents wanting to have the books taken out of school curriculum. Forgetting about an uncomfortable part of history will certainly not help us to not repeat it. And to diminish To Kill a Mockingbird to nothing more than a novel about racism does all readers a disservice.